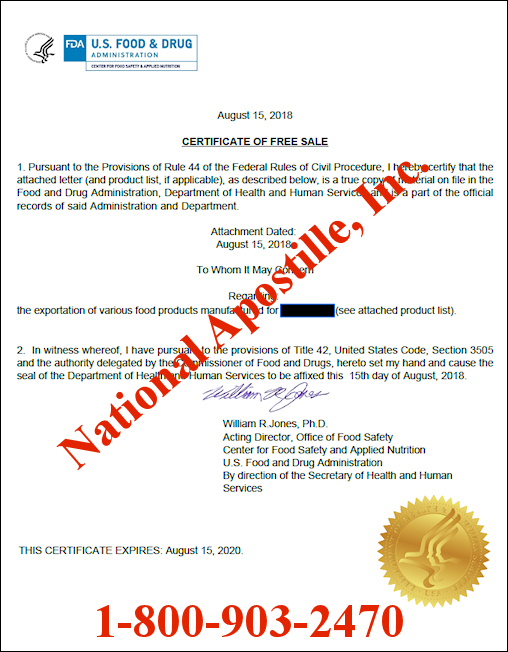 Do you need an apostille on your FDA Certificate of Free Sale? Certificates originating from the US Federal Government (FDA) can be processed through our Washington DC Apostille office. At National Apostille, Inc., we take the guesswork out of authenticating your documents through the US Department of State – Office of Authentication in Washington DC. Our trained and knowledgeable staff are available Monday – Saturday from 8am to 7pm to answer your questions and provide you easy to follow step by step instructions. Firms exporting products from the United States are often asked by foreign customers or foreign governments to provide a certification relating to products regulated by the FDA. A digital Certificate to Free Sale is an certificate issued by the Food and Drug Administration (FDA). This document assures that the materials listed are on file with the Food and Drug Administration. (d) is not sold or offered for sale in domestic commerce. Document issued by the Department of Health and Human Services FDA division can be apostilled through our Washington, D.C. apostille office. Documents received at our offices are submitted directly to the U.S. Department of State – Office of Authentications the following business morning. The current processing time is four business days. 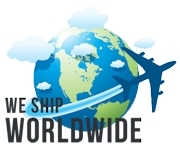 We also provide FedEx/UPS overnight return shipping at no additional cost. Below is an example of a digital Certificate of Free Sale issued by the Food and Drug Administration (FDA). 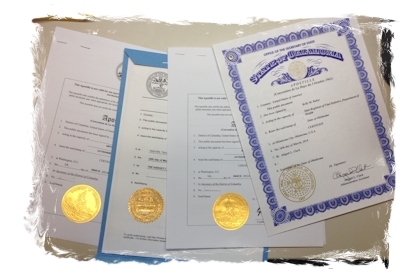 Do you need to apostille a Certificate of Free Sale? A certificate of free sale can be issued by the local Chamber of Commerce, the company, the State, and the U.S. Federal Government (FDA). 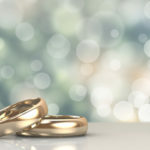 If you decide to obtain this document from the local Chamber of Commerce, you will need to request the document to be signed and notarized by an official from the Chamber. A certificate of free sale generated from the company must also be signed and notarized. 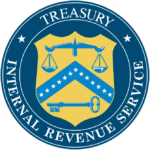 A certificate of free sale issued by the State or US Federal Government do not require notarization unless they arrive notarized directly from the State office. 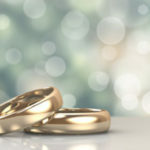 Many countries are now requiring a Certificate of Free Sale, sometimes called a “Certificate for Export” or “Certificate to Foreign Governments”. 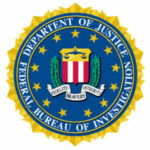 This certificate is used to indicate to the other country that the product is marketing freely and sold within the United States and without restrictions. In some countries, this document may be referred to an export certificate. In many cases, foreign governments are seeking official assurance that products exported to their countries can be marketed in the United States or meet specific U.S. regulations, for example current Good Manufacturing Practice (GMP) regulations. Review of an FDA Export Certificate may be a required part of the process to register or import a product into another country. Obtaining an apostille on a Certificate of Free Sale can be complicated. Don’t leave this process to untrained employees or non-professionals who do not fully understand the Apostille process and the unique requirements of certain countries. Your paperwork could be rejected costing you time and money. Don’t let this happen to you!